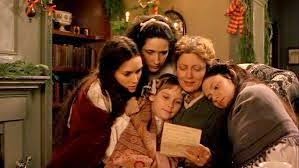 So, rumour is beginning to have it that there’s going to be a remake of Little Women, which, as you know, is one of my all-time favourite stories. I am embarrassingly passionate about the tale. I used to re-read it every winter – it’s such a cosy, comforting book – and I think the front cover eventually fell off the front of my Penguin Classics copy. To the unitiated – and probably male – it’s a family saga set during the American Civil War, featuring the March sisters, their “Marmee”, and their well-off neighbours, the Laurences. It’s impressive, for a book set in 1860-something, how many plot points in it still ring true. The bit where Meg goes to a party with her considerably richer friends, and borrows a dress and wears make-up and drinks champagne? We’ve all been there – acting differently to fit in with a new crowd. The bit where Jo refuses Laurie? We’ve all been torn between someone who is staggeringly hot and you’d kill to have them right there, right now and The Right, But Infinitely More Boring Thing… haven’t we? And every girl-writer I know wanted to be Jo – and I’m convinced the character arc of the second March sister provides a solid foundation for living a feminist life, should you ever need some guidance. I know there’s some hot debate surrounding the fact that she marries the professor, especially as he seems to try and make her into the sort of writer he thinks she should be, rather than letting her do her own thing. However, being the kind of girl who loves a dashing, dishevelled academic-type in spectacles and tweed, I’m prepared to let it go. The 1994 film is perfection and cannot be improved upon, so I beg you, Hollywood, don’t even try. Myself and all the other bookish young women of the world don’t want you to. Just let us have this one. You can have Anne of Green Gables, if it’s whimsical young ladies you want. Or what about What Katy Did? Surely that’s due a reboot? For me, Winona Ryder is Jo March, and Susan Sarandon is Marmee. I can’t think of any currently “in vogue” actresses that would better those performances. I mean, there must be some, but none that spring to mind readily. Jennifer Lawrence? I love her, but she ain’t no Jo March. Emma Watson? Again, she’s brilliant, but I have my reservations – she might be able to carry off the adult Amy role, at a push. The Theory of Everything‘s Felicity Jones? No. I’m sure she’s a great actress, but I couldn’t tell while watching TTOE, because a) Eddie Redmayne was so brilliant, and b) because Jones did not appear to age at all during a film that was set over a period of decades. Once I noticed this, I couldn’t un-notice it. 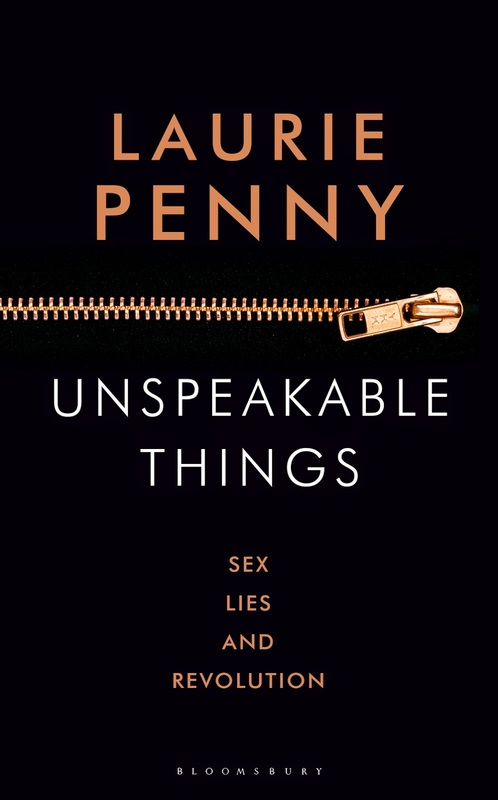 I’m currently reading Unspeakable Things by Laurie Penny. I’m a fan of Penny, for her politics and for her ability to write fierce, beautiful, intelligent prose (I want to print out and carry with me always her essay on why she writes). However, Unspeakable Things is, so far, proving to be problematic. I love an angry feminist book – there is still much to be angry about, and writing fuelled by rage is often the most compelling writing of all – but I feel that the book would be hugely improved by some facts and statistics. There are a lot of generalisations and claims in this book, and while I don’t doubt them, I think the book would have even more clout if she included the figures to support her obviously carefully-considered opinions.